VANE Magazine - Issue 2: Efficiency. OEM Solutions. Unrivaled Knowledge. 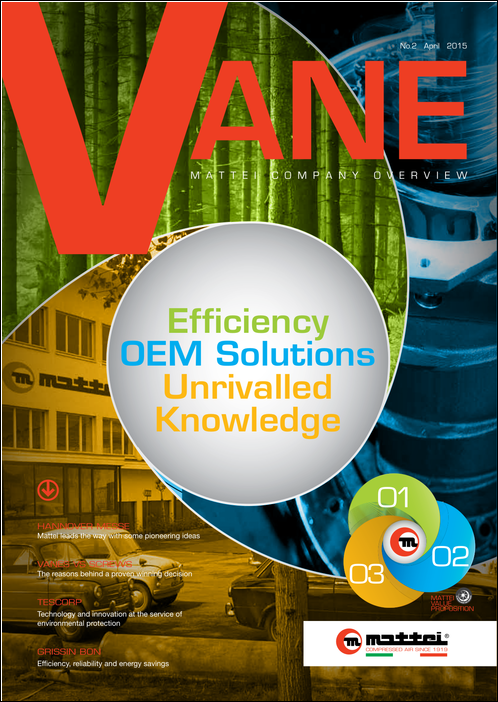 Mattei Group publishes a quarterly magazine, VANE, in order to provide the latest information on our company, our products and our innovative rotary vane technology. To get your copy of VANE Magazine - Issue 2, please complete the form to the right.